There were factors that featured on a national and wider scale, such as temporary agricultural recessions, government policies and the shift from cultivation to pasture. The rising and falling trends of Workhouse admissions over Ireland can be traced to a combination of all of these. For example, from 1850-1854 there was a marked fall in admissions. This temporary alleviation can be explained by the end of Great Hunger conditions, but also by the effects of the 1851 Medical Charities Act. The Act provided the machinery for supplying domiciliary medical relief all over the country. Prior to this the sick got relief only in workhouse hospitals, county infirmaries or as out-patients at various dispensaries. Most of the latter dated from the beginning of the century, but they were ill-equipped and financed, often voluntary, and received but little subsidy from the county cess. Medical advice was given gratuitously to all comers, but medical supplies were very small and doctors paid domiciliary visits only to some of those who lived close to dispensaries. Thereafter larger factors again prevailed. Temporary outbreaks of such rampant diseases as road fever, cholera, relapsing fever and smallpox saw sudden upward swings in Workhouse numbers. Worsened world economic conditions in the early 1860s (partly due to Civil War in America) saw a large upswing. The numbers levelled off again to a high, if fairly constant level for most of the rest of the century. More generous outdoor relief continued to be offered to the English destitute over the second half of the nineteenth century. The 1844 General Order had allowed outdoor relief there according to similar provisions to those just quoted, but crucially also allowed paupers to claim it ‘where such person shall require relief on account of sudden and urgent necessity’. The bounds of the latter were not prescribed, allowing Boards of Guardians to decide on each case. As early as 1847 the Poor Law Board in England and Wales had given up hope of prohibiting outdoor relief in one hundred and forty two Unions, one fifth of the total. This was the year that the government closed the Public Works schemes in Ireland and declared the Famine over. 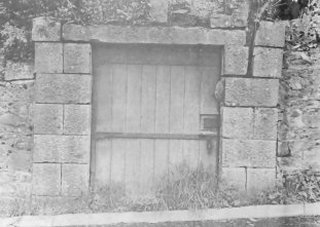 In post-Famine Ireland, it slowly and gradually dawned upon Irish Boards of Guardians – in Newry after much persuasion from their Clerk – that outdoor relief was often more economical to the ratepayers; that paupers maintained within the walls cost more than those given partial relief outside.